Due to unforseen circumstances, CHAMP regrets to announce that the museum’s first floor will be closed until further notice – apologies for any inconvenience. This is because the stairwell ceiling is receiving some well-earned attention from specialist plasterers. 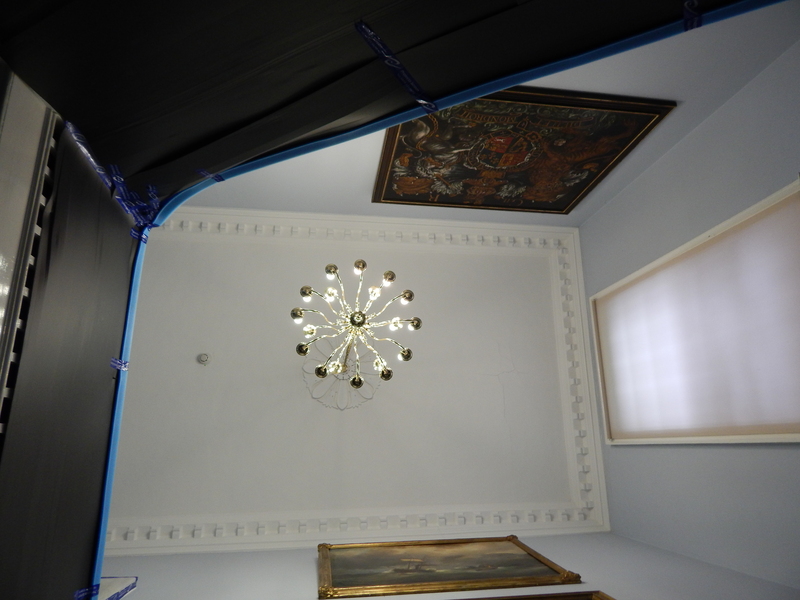 Sections of the existing plaster are being removed and the lathes that support the ceiling replaced, before the plaster can be reinstated and the space re-opened. This work will help to preserve the space for future generations. We are working closely with North Lincolnshire Council to see that this work is carried out as efficiently as possible. Unfortunately the ongoing work does mean that the stairwell is closed for the time being, meaning that we are unable to allow visitors into the first floor display spaces. We are working on options that would allow us to give visitors an insight into the first floor spaces while this closure is in effect. Want more information on the ongoing work? Follow us on Facebook or Twitter for updates on progress.